Petition signed and noted. Thanks, Rose. U.S. "Christian" fundies, have been selling this big lie in Uganda and elsewhere after a relative lack of success in their own country. The buyers should beware! i don't wanna say something that will get me banned. so i gotta be careful here. but the truth is the truth. throughout my life i've worked for private detectives and sometimes it was doing things that bothered me as a person. but a buck's a buck. but i've never met, and i've met hundreds. an african that wasn't afrikaner or muslim that didn't like male booty. i'm sorry moderators. this is something these dudes are doing here and in zimbabwa to please their wives and their churches. it's all b.s. Signed & noted. Thank you, Rose. Noted and signed. Thanks, Rose. Signed and noted, thanks Rose for posting. 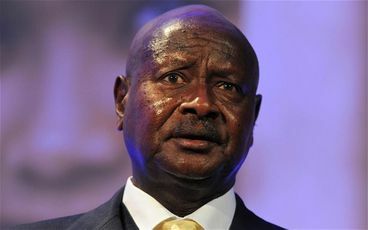 I saw an interview with the Ugandan president last week. On the subject of homosexuals, he made no sense whatsoever. He sounded like a complete nutter! Remember, this is a country whose former leader cooked and ate his enemies. And they complain that nobody takes African "leaders" seriously. Go figure.